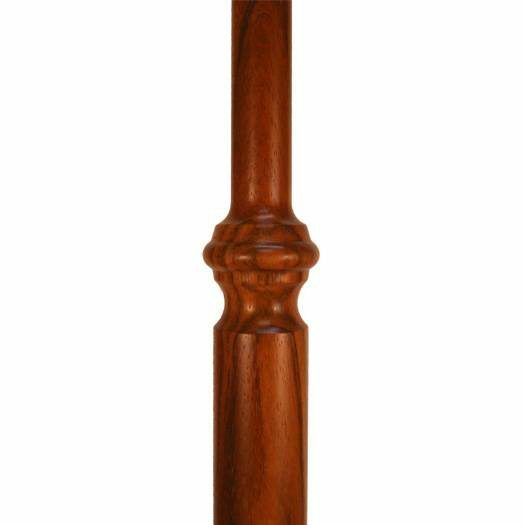 The 5410 stair baluster is our most ornate wood baluster. This stair part works well in grand homes that have a Victorian, French, Italian or Orleans influence. The turning on these balusters remains the same no matter the length of the baluster. The additional length of the balusters will be added to the bottom block. 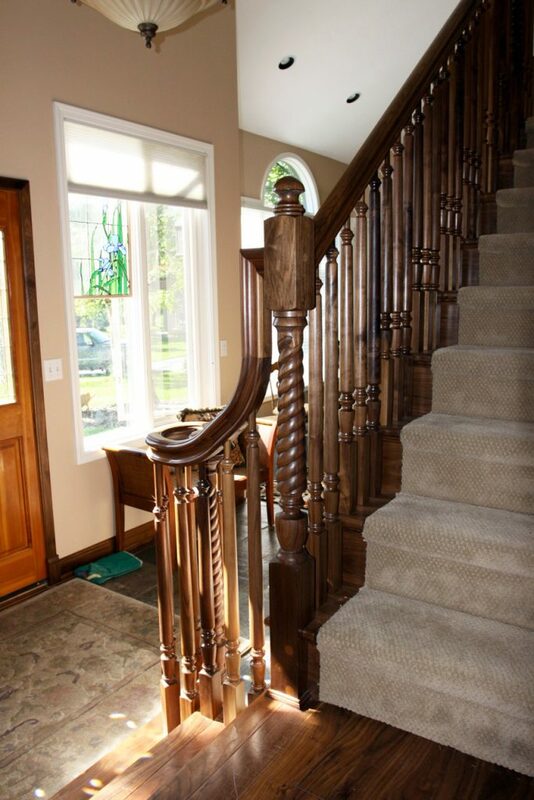 This makes the turnings on the balusters match the slope of your handrail. The bottom block on these balusters remains the same, no matter the length of the baluster. What varies is the turning length. This makes for a more staggered look, as the turning begins at the same point on all balusters on each step. 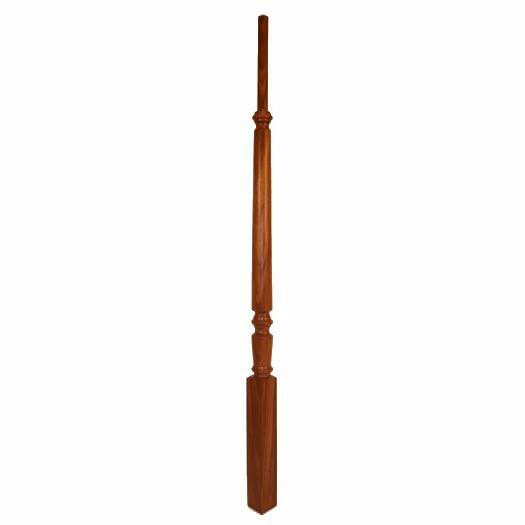 I want to modify three of these balusters (42 in high) to make a support stand for my globe. Is a dimensioned drawing available? 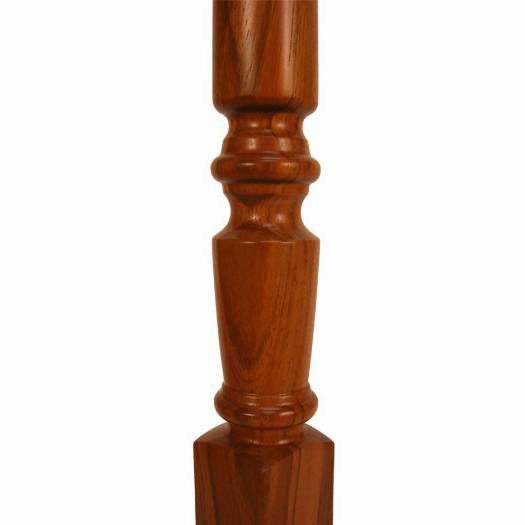 Thanks for your interest in the 5410 Wood Baluster. If you’re interested in specific dimensions or a drawing that are not readily available online, we recommend giving us a call at 1 (866) 226-6536 so that we can provide you the detailed information you’re requesting. How many balusters would I need for a 12ft long railing? 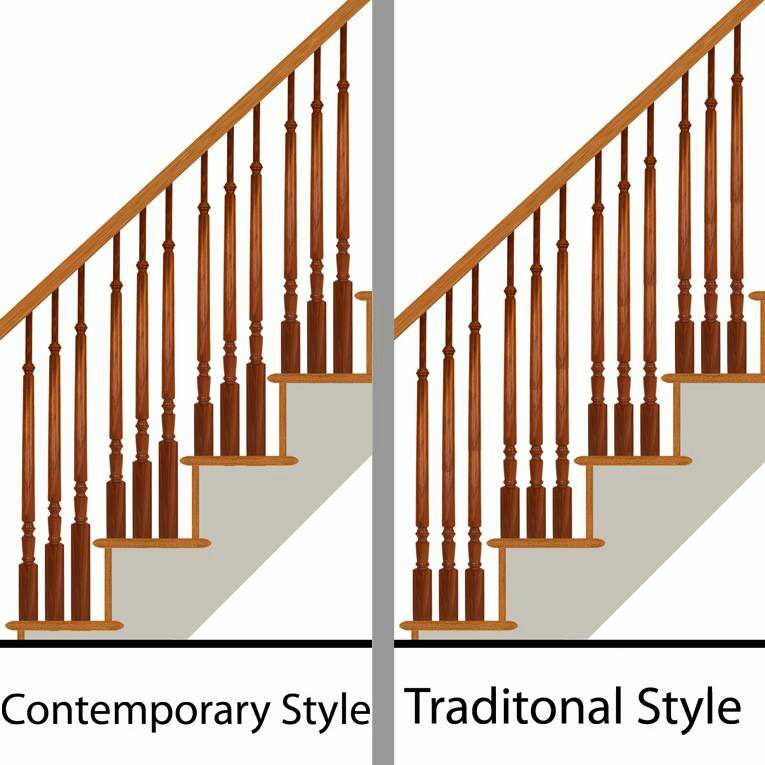 It depends on the spacing you want – they’re 1 3/4″ at the widest point and code usually requires that you can’t get a 4″ sphere between balusters at any point along the baluster. You can call one of our helpful customer support specialists at (866) 226 6536 to go over the details of your project to make sure you get your order correct.